To ensure delivery, all items are shipped either insured or with delivery confirmation. We will gladly exchange items that are received damaged or defective. All items must be unused and in resalable condition. Please contact us at our email address or by phone within 5 days if you receive a damaged item or are missing an item or if you wish to return any item. Returns can not be accepted without a Return Authorization. If you wish to return an item due to buyers remorse, you are responsible for shipping charges back to us. Returned items must be UNUSED and in RESALABLE CONDITION and must arrive back to us within 30 days. We urge items to be shipped back to us with tracking and insurance as you are responsible for its delivery back to us. Items that are received damaged due to shipping will be replaced with the identical item. Please photograph any outward damage to boxes upon receipt of your shipment for documentation. In order to file a claim, we must have these photos. A store credit will be issued or money will then be refunded once we receive the item. Store credits vs cash refunds are at the discretion of the store owner. Our shipping charges to you will be deducted from your store credit or refund amount. Absolutely no refunds after 30 days. 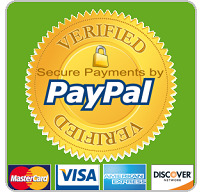 Please understand that after 30 days we can not reverse charges from our card merchant service. Our shipping charges to our customers are discounted so on heavy items, actual shipping costs will be deducted from the refund or credit amount UNLESS the return is due to our error or a defective item. Your order begins processing immediately after you complete your order. During processing time it may be possible to cancel your order, but once the order moves into the In Transit or shipping process, it cannot be canceled. 1. Log in to your account and check your order status. 2. If the order says Pending or Processing, Email us immediately with your desire to cancel. If the status says In Transit, the order has already shipped and cannot be canceled. If you have changed your mind about the order and it is too late to cancel, you can contact us about returning any unwanted items in accordance with our return policy as stated above. Shipping is Standard Mail with the US Postal service by default on most items. Ask us about Express or Priority Shipping if you need your items sooner. When placing your order please indicate your desire for faster delivery and we will email you with the cost for upgraded shipping, if available. Please make sure that you give us a VALID postal address for shipping as we will not be responsible for shipping costs due to incorrect shipping addresses. Some items ship USPS and some FedEx or UPS. Purple Martin houses, gourd racks, gourds and certain other items use UPS or Fedex. Our shipping policy is for the continental U.S.A. only. Most items cannot be sent to Canada. We recommend that our Canadian customers find someone Stateside that can accept delivery, like a pack and ship facility for delivery, and then pick it up from there. Call or email us with your Canadian Postal Code for availability and shipping rates to Canada. 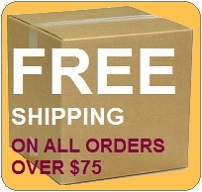 Shipping is FREE on all martin houses, gourds and gourd racks AND also for all orders over $75.00. Our shipping rates reflect a discount to our customers. Though you may find the same items on other sites for less, once you add in their additional shipping charges and surcharges, PurpleMartinPlace.com is actually less expensive, in most cases. If you have any questions on our shipping policy please contact us. We are here to help.